Unlikely I’ll ever be expected to host Thanksgiving in a 900 square foot apartment but if I ever was, I would try to remember these! Nice pointers. Especially about focusing on the food tasting good and Martha Stewart can go soak her head! Boy, I should treat myself to a stick blender. Love making soup in the wintertime. I have a little hand mixer that belonged to one of my grandmothers that works pretty well but those look much less messy. 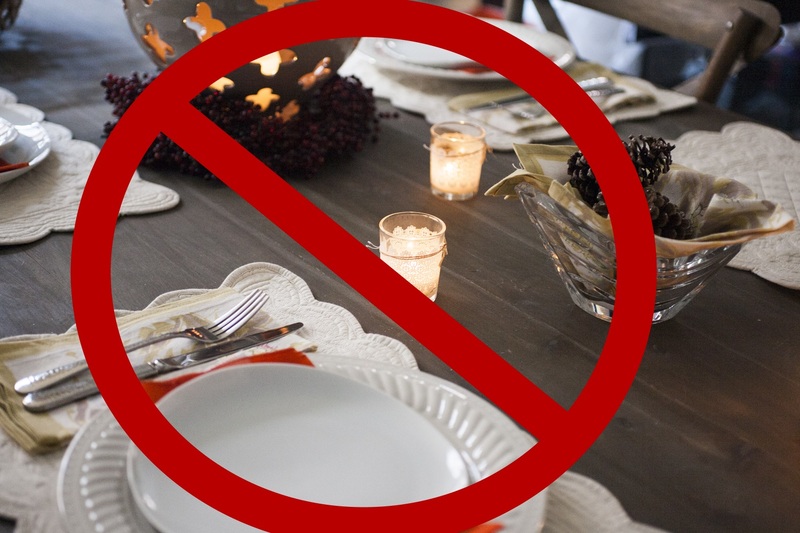 Don’t be too sure about not hosting in your apartment. The Beloved Spouse and I lived in a space not much bigger than that with a supremely tiny kitchen and produced a turducken one year. And you will not regret the stick blender. It’s a little bit of a one-trick pony, but that trick is pretty awesome. Oh my! That’s quite a list! It is, but you probably already have most of it. Most folks do.